From New York Times bestselling author Katy Regnery comes an all-new twist on a beloved fairytale! In this "Rapunzel" retelling, Bella Capelli, a hair stylist who works on the 32nd floor of the New York Metro Tower Hotel, meets His Serene Highness Prince Nico De'Medici, in town for the wedding of his twin sister, Valentina. Though the two come from vastly different worlds, and Nico is promised to another, the handsome prince can't seem to stay away from sweet Bella. After a whirlwind week of romance, will they manage to find their happily-ever-after? During December 2017, 10% of all royalties from the e-book and paperback sales of Shear Heaven benefited Locks of Love. 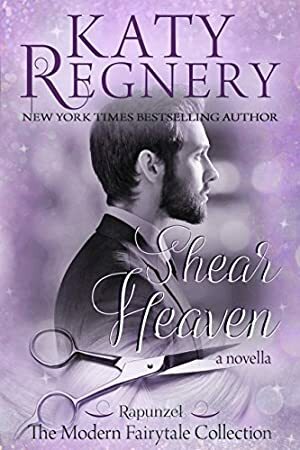 Shear Heaven is part of the ~a modern fairytale~ collection: contemporary, standalone romances inspired by beloved fairy tales. We started tracking this book on January 11, 2018. The price of this book has changed 2 times in the past 469 days. The current price of this book is £2.99 last checked 10 hours ago. The lowest price to date was £0.99 last reached on October 29, 2018. The highest price to date was £2.99 last reached on December 2, 2018. We last verified the price of this book about 10 hours ago. At that time, the price was £2.99. This price is subject to change. The price displayed on the Amazon.co.uk website at the time of purchase is the price you will pay for this book. Please confirm the price before making any purchases.